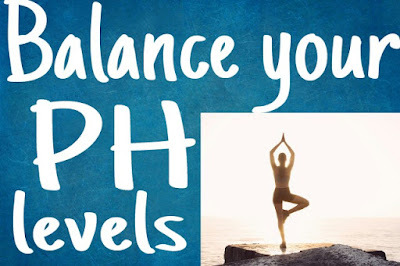 Now a days many people don’t know about the PH or PH Balance in healthy lifestyle,pH is short form for the potential of hydrogen pH is a measure of the acidity or alkalinity of your body fluids and tissues it is measured on a pH scale that ranges from 0 to 14 neutral pH is 7 the higher the pH greater than 7 the more alkaline while the lower the pH less than 7 the more acidic the healthiest pH level for the human body is one that is slightly more alkaline than acidic optimally we want to keep our bodies at a pH of 7.36 to 7.45 when you are stressed when you make poor lifestyle choices or when you are exposed to a toxic environment your body is constantly trying to bring you back to a more alkaline state,for this reason the body starts pulling minerals like magnesium and calcium from your bones,teeth and organs to neutralize this acid blood,pressure,insulin levels,cholesterol,body weight and immune system function are all influenced by changing by changes in pH levels. when the body pH level becomes too acidic your body is more vulnerable to different diseases like slow metabolism,obesity and inability to lose weight,high blood pressure,chronic inflammation, kidney and bladder conditions,such as kidney stones or weight gain and diabetes,premature aging,weak bones,osteoporosis,bones first fractures,aching,muscles joint pain,mood swings ,low energy levels, slow digestion and elimination fungal or yeast infections,chronic fatigue are all because of low pH levels so when the body pH falls below 6.4 the enzymes are deactivated the minerals vitamins and food supplements cannot be properly assimilated and the digestion cannot function in the right manner. Diseases can survive in an alkaline environment so bacterial virus, mold yeast, candida fungus and also cancer cells prosper in an acidic low pH environment. Here are five ways to balance your pH. Foods which are alkaline in nature are leafy green vegetables like kale,spinach and wheat breast. Other non starchy vegetables such as mushrooms,tomatoes,avocado, radishes, cucumber, garlic, ginger, green beans and cabbage. Consider raw foods uncooked fruits and light cooked food. cooking food are decrease the level of nutrition value their alkalizing minerals increase your intake of raw foods and try juicing or lightly steaming fruits and vegetables. So, try to we have to add large meal or consume Raw vegetables or low cooked food for better absorb of alkalizing minerals in the body. And also include food like barley, wheat grass and maca root and also include healthy fats like coconut oil,virgin olive oil and starchy plants like sweet potato, turnips and beets. The plant source of proteins such as almonds, beans are good choices to have to be included in an alkaline diet and more citrus fruits dates and raisins which are also very alkalizing help prevent acidosis apple cider vinegar it may taste acidic but helps restore PH balance. According to the water Research Center there is a lot of very when it comes to the pH levels between different sources of water when water has a pH level less than 6.5 it is considered acidic soft and corrosive which means it may potentially leads meta-lions such as iron, manganese, copper, lead and zinc from Accra fires, plumbing fixtures and piping . osmosis filter is slightly acidic with a pH level slightly lower than seven distilled water and filtered water may not be too alkaline but as far as pH balance is concerned there's still better option then tap water or purified bottled water that are more acidic. 3.Reduce intake of acidic foods. Eat a died that's lower in acidic foods or eliminate that from your diet these foods include processed meats foods,high in sodium, processed cereal Grains, fried foods, refined grains which include white rice, white bread, pasta, caffeine and alcohol. 5.Maintain good levels of calcium and magnesium. These two minerals are of crucial importance for all the organs in the body they are needed in the bones, nervous system, teeth, muscles and in the heart as well low pH level causes the body to get the calcium from these organs to maintain the alkaline state which leaves your body in lack of this minerals dark greens leafy vegetables are excellent source of both of these minerals other sources include dry fruits, seafood and whole grain cereals. I hope you can start checking your ph levels and incorporate some of these ways into your daily life.